As I considered my next path after UTIMCO, I went through a series of considerations that revolved around some fundamental questions: What are my strengths? Where does my passion lie? Who are my people? First, I sought out the intersection of the first two: My strengths and my passion. It didn’t take much time to determine where my focus should be: Optimizing venture capital exposure for institutional investors. In my experience, the best fund and company founders were ones who set out to solve a problem they knew deeply. They were functional experts who have lived the challenge. I was keying in on my greatest challenge and greatest successes at UTIMCO by focusing in on venture capital. LPs large and small need help in navigating venture capital as it offers the highest returns set against the greatest dispersion of outcomes in private markets. While there are those LPs that perform extremely well, success remains elusive for many others. Consistently accessing those high venture capital returns is challenging. The best and perhaps only way to win is to bring talented investors to bear against a right sized capital base, and then allow those investors to focus, recognize early trends, and create an optimum structure that aligns incentives. I took these lessons and this model from my experience at UTIMCO. Given our endowment’s size and public nature, we had developed a specialty for seeding or anchoring emerging GPs, an area at which I became particularly adept. And I loved helping GP entrepreneurs build their firms and funds. (On a related note, you can only help your peers form a new fund so many times without catching the bug!) I certainly wanted to stay on the path of investing in new funds: Identifying and supporting the best investors in the world to establish their own funds while continuing to work with my valued relationships from UTIMCO. My experience helping funds had also proved to be my strength. Based on investment returns at UTIMCO alone, my net fund investment multiple was greater than 3x in technology venture funds and well north of that multiple when you looked at funds out of their investment period. I also had developed a number of meaningful relationships with top venture firms and my network proved to be incredibly strong. Focusing on venture alone made perfect sense across both criteria. I loved it – and I thrived within it. I knew my next step had to be technology venture with a focus on creating real partnership, leveraging my relationships at UTIMCO and investing in new, exciting firms. Combining a love for technology and creating partnerships made sense for me but the answer begged more questions. Did the world really need another fund of funds? Was this really optimizing venture exposure? The short response was No. Yet another stand-alone fund of funds didn’t make sense. To be sure, there are a number of groups (many of whom are my friends) that do it right, but I had seen too many peers get sucked into the “assets under management game” while competing on lower fees. This strategy led to constant fundraising and poor investment decisions. Too often the portfolios became over-diversified, protecting the downside but giving away the opportunity for outperformance. One friend in the business was Michael Kim at Cendana Capital, where he solved many of the challenges by focusing on a specialty market of micro-VCs who retained high return potential. Michael has a great business that provides interesting and complementary exposure to his clients. In working with Michael, I confirmed that there was an opportunity to go “Next Level”. 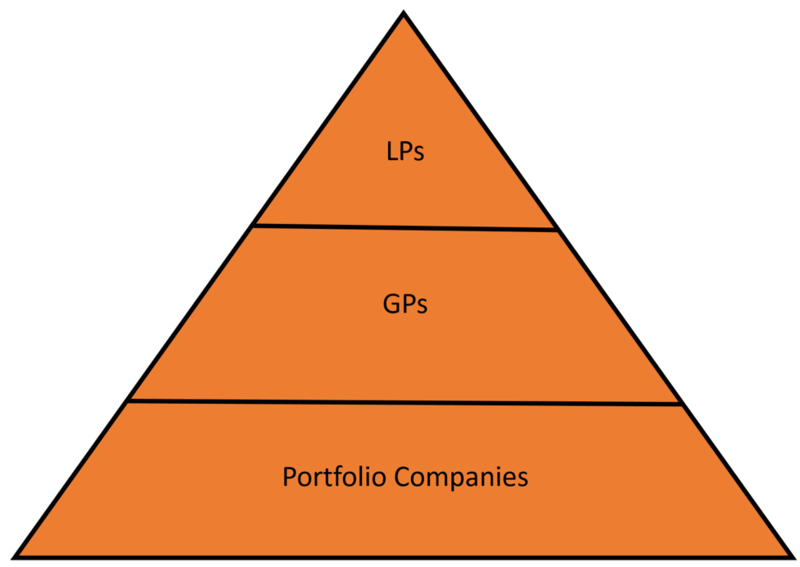 I’ve always pictured LPs as sitting one level above GPs, who sit one level above portfolio companies. As an LP, we mimicked the best themes, investment processes, and organizational structures of our GPs. In turn, our GPs were learning from, adopting, and sharing the best ideas, management techniques, and sector knowledge of their portfolio companies. As an LP, you benefit from some of the best knowledge and thinking available. You are provided a singular view but also limited by internal or market constraints in your ability to invest behind that perspective. I was seeing changes in company formation and financing markets that presented an opportunity to cut across the traditional roles. The opportunity is a reflection of the boom in company formation and the explosion of micro-VCs. A recognition that successful investments may come from any market or any fund but they still require capital to scale as market leaders. The changing nature of capital efficient start-ups has affected the company and VC layer but the traditional LPs have not yet, and may not be able to adapt. I felt that we needed to go next level – to the portfolio companies – in a capacity well beyond traditional co-investment. To combine the benefits of a diversified GP portfolio with a direct investment ability anchored in the DNA of a GP. We needed an exceptional direct investment capability within the strategy as well. What is the portfolio construction? This is perhaps my favorite question for GPs and one that I spend a lot of time considering. What combination of GP portfolio and direct exposure adequately diversifies the portfolio while retaining upside through individual deal performance? Simply put, what is the mix? Based on my experience with the strong performance at UTIMCO, I knew a portfolio of funds performing at 3x or better should provide a diversified base return that returns a majority of the capital, protecting downside and setting up the possibility of an asymmetric return profile. This portfolio would also create a sustainable sourcing advantage for direct investments. A portfolio of individual direct investments should provide upside with the potential for any single deal to return a meaningful portion of the entire capital base. The individual investments ideally of a size to meaningfully scale the underlying company while ensuring enough ownership to generate a large absolute dollar gain on the capital base. Access and opportunity set would define the capital base, but the GP portfolio should certainly represent a minority of the capital to allow for greatest upside from the direct portfolio, reflecting the asymmetric return goal and preserving the long upside tail of outcomes. I’ve been close with Jason, Seth, Ryan, and Brad since UTIMCO funded Foundry Group in 2007. It felt natural to reach out to them as I was thinking about my own path over the last two years. Fortuitously, they were also contemplating their future and the alignment was deep. We have been formulating strategy, portfolio construction, structure and alignment back and forth honing in on ideal elements for each. When Jason called me and said, “Welcome to Foundry Group”, I knew we had something special. Beyond the personal and the cultural fit, from an investment and strategy standpoint there was clear overlap in style and investment themes. We even share a number of previous investments. The Foundry Group brand is deservedly strong. Foundry was one of the early movers a decade ago that recognized the changing venture environment, and they are clearly a star in today’s generation of leading venture firms. They are sought after by entrepreneurs and other venture capitalists as value-added investors with a sterling reputation for treating people right. The Foundry returns have been impressive across both their early stage funds, for which they are well-known and more recently, their Select Fund which makes growth stage investments within their portfolio. From my vantage point, there may be no better partnership given their cultural fit, sterling reputation, and history of direct investment returns. (Wait, there’s more!) The Foundry Group has also been quietly investing in a portfolio of other GPs over the last decade. These investments reflect their powerful network. They have befriended, advised, and sometimes sponsored other venture investors. Their #Givefirst attitude has helped them to identify the best investors early and to spread that positive DNA more broadly in the venture ecosystem. Much to my delight, they have also outperformed even my own fund investment track record! By combining our respective histories and shared ideals, we think our new strategy, Foundry Group Next, will truly optimize venture capital exposure for LPs. We will build a portfolio of direct investments underpinned by early-stage funds in a right-sized portfolio. 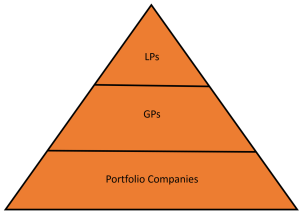 A portfolio big enough to support companies and GPs but not too diversified to limit returns. We will share that #Givefirst attitude, believing that supporting entrepreneurship will help us generate returns for our investors and support a technology driven renaissance in our economy. I know that Foundry Group Next checks all the boxes from an LP perspective. It’s a differentiated, advantageous strategy for venture investment with the right team, focused and aligned with LPs in the proper structure. My goal to optimize venture capital exposure for institutional investors is achievable and I believe all the building blocks are in the right place. I’m very excited to partner with Jason, Seth, Ryan and Brad in this new venture! Previous PostThe importance of Timing. Next PostBoulder or Bust.